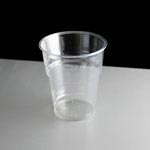 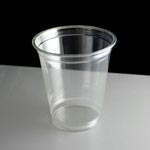 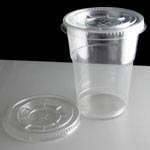 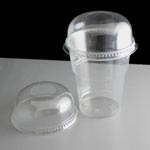 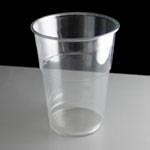 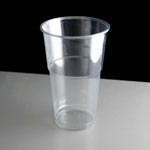 We offer a range of clear plastic smoothie cups in sizes from 8 to 20 fl.oz with flat and domed lids to fit each. 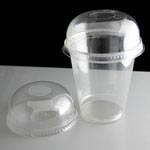 All made from PET plastic which can be easily recycled wherever you can recycle plastic drinks bottles. 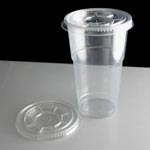 Ideal for fruit or milk based smoothies.